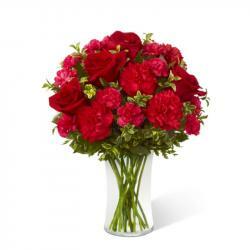 Product Consist : Bunch of 20 Red Roses along with Cute Teddy Bear. 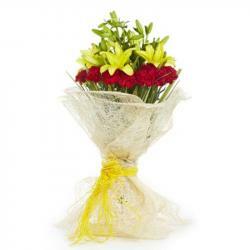 Bunch of twenty specials handpicked red roses with teddy bear will create a romantic mood all over. The combo has a very special glaze of love and care. The bunch of 20 red roses with matching ribbon bows tie on it to looks amazing. The teddy bear is very cute and looks adorable. . 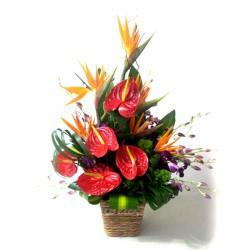 This combo is perfect for surprised your dear one. 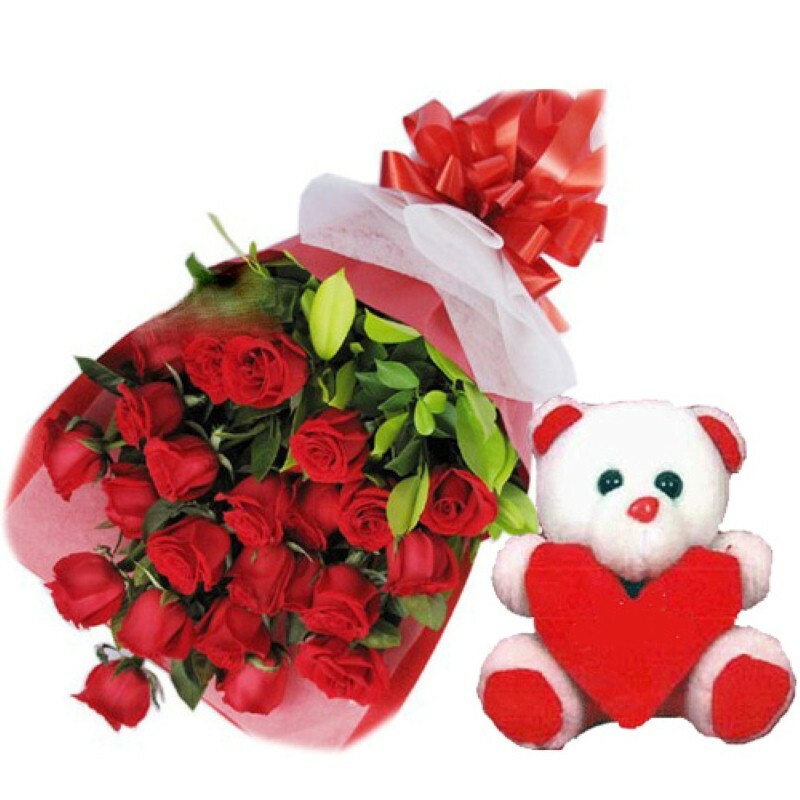 So book your order now and celebrate Valentines Day Product Includes: Bunch of 20 Red Roses along with Cute Teddy Bear.